There are hobbies and then there are lifelong passions. 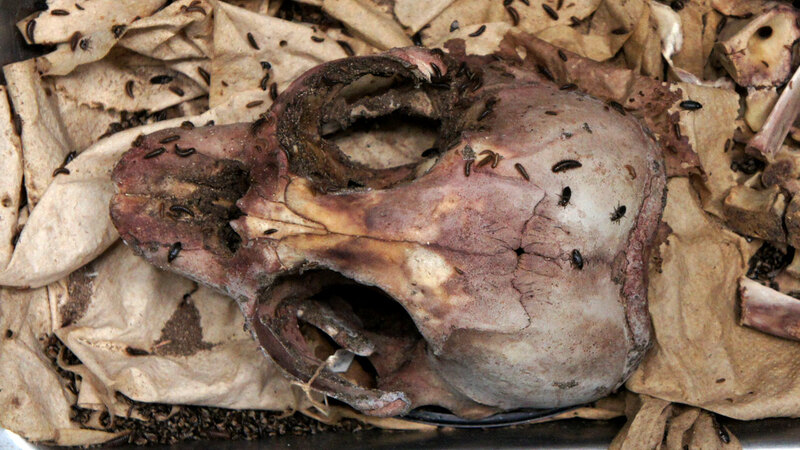 Ray Bandar's passion is finding and cleaning skulls. Bandar is a spritely 86-year-old with an encyclopedic knowledge of the bones. 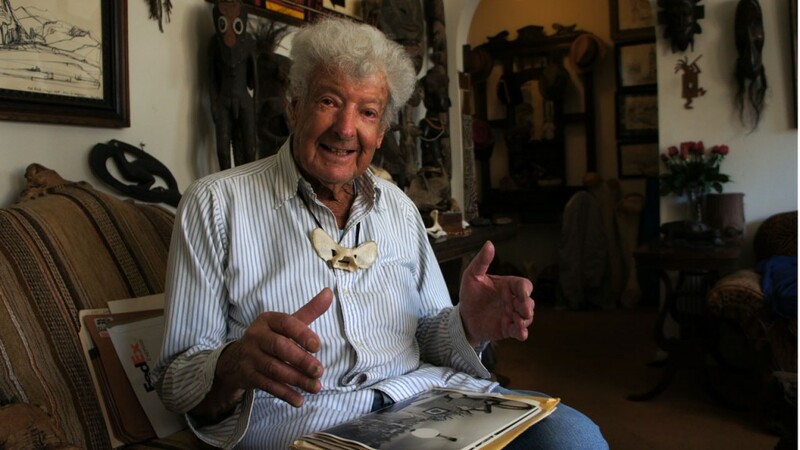 “Sixty years at Ocean Beach, I’ve been decapitating dead marine mammals,” he says. For most of his life, Bandar searched local beaches for dead sea lions and seals and removed the heads. As a volunteer with the California Academy of Sciences, he worked under its scientific collection permit from the state. The more exotic animals in his collection came from local zoos after the animals died. Bandar’s fascination with the natural world began as a kid growing up in San Francisco, when he collected snakes and frogs in Golden Gate Park and donated them to the Steinhart Aquarium. Over the years, Bandar attracted crowds of beachgoers as he harvested skulls. Occasionally, he attracted suspicion, like the time in Half Moon Bay when he was working on a 14-foot elephant seal carcass in front of the Ritz-Carlton. The policemen eyed Bandar’s ratty field jacket, covered in rotting flesh. They’d gotten a number of phone calls, Bandar says. “More than one call is, ‘There’s this homeless guy. He’s trying to eat this dead elephant seal." Bandar’s wife of 60 years doesn't mind his hobby. The two of them met in art school. On their honeymoon to New York City, they fell in love with the bone displays at the American Museum of Natural History. Bandar retired from collecting specimens last summer. The skulls in his basement will eventually go to the California Academy of Sciences, where his work will comprise one-fifth of the museum’s ornithology and mammalogy collection. 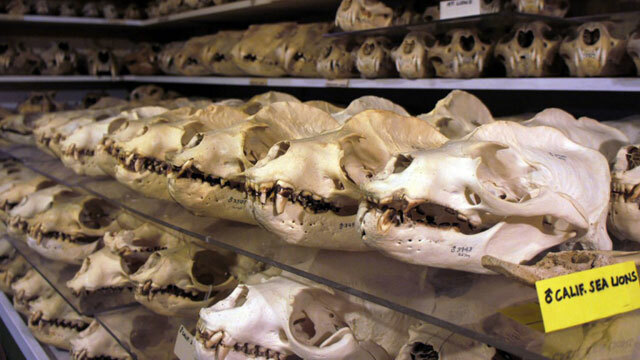 Cal Academy's collection of skulls teaches the public, including thousands of school children who come to the museum each year, about wildlife and the natural world. One of the Academy's collectors is curatorial assistant Sue Pemberton. Inside the specimen preparation room, Pemberton describes the work she has in progress. 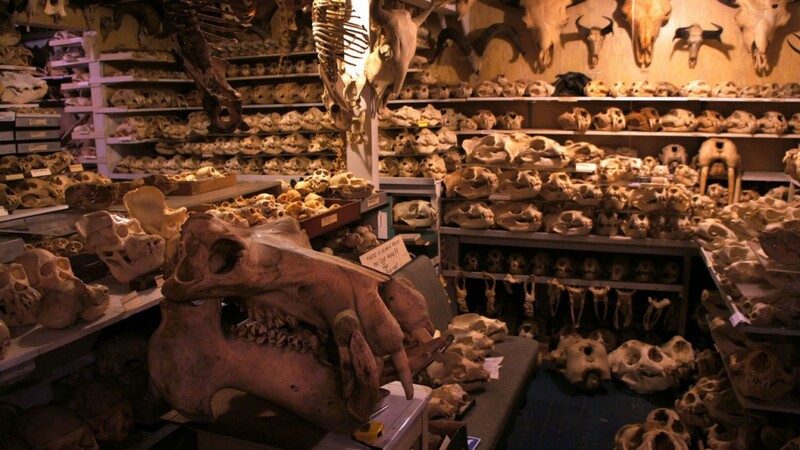 “You’ll see over on the left here I have a young elephant seal skull,” she says. The skull is crawling with dermestid beetles, which specialize in eating dead flesh. 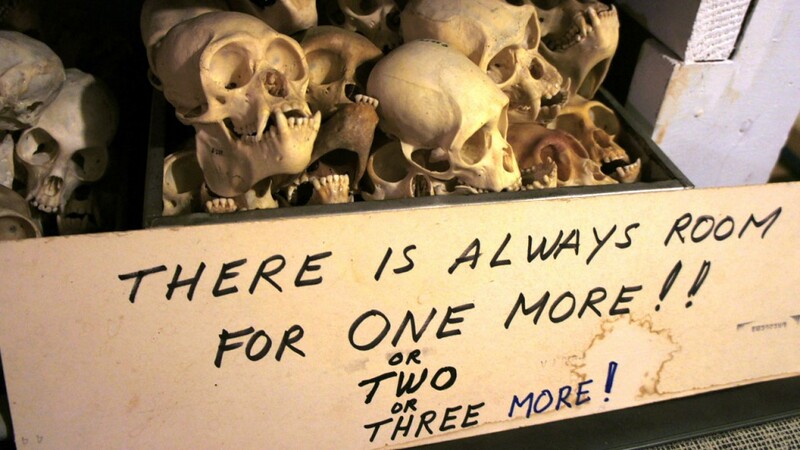 Pemberton uses them to clean skulls for the collection. She also uses large buckets of water, the same method Bandar employs. 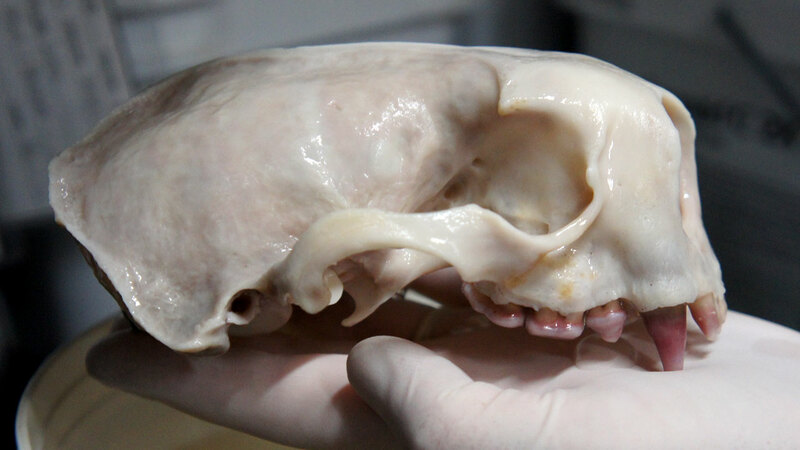 The skulls also help scientists learn how marine mammals are doing off the California coast. The bones reveal if the animals were sick and what they ate. The otter stained its teeth eating purple sea urchins. Other sea otters have completely different diets, which they learn from their mothers. Pemberton heads out to the beach whenever a report comes in of a dead animal; she's part of the Marine Mammal Stranding Network, a group of wildlife centers and museums that responds to reports. Her whale kit is ready to go on the table: a dozen steak knives and an ax. 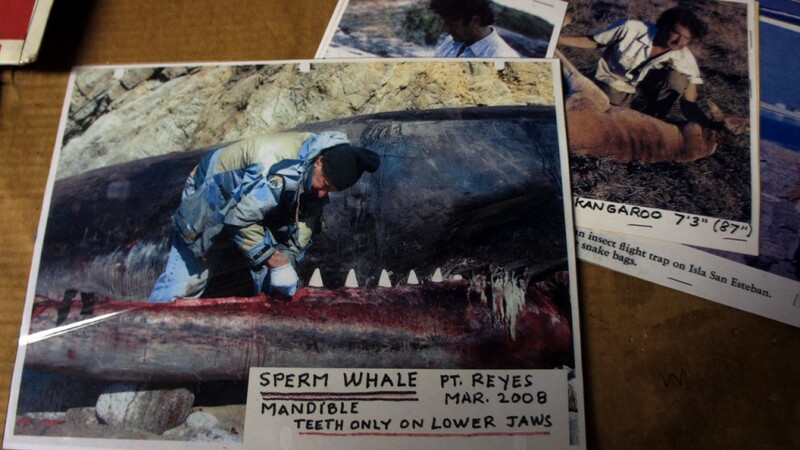 Pemberton and others have documented cases where ship strikes killed whales off the coast. The data actually helped change policy. Last year, federal officials put in new speed limits for cargo ships coming into San Francisco Bay. Cal Academy’s exhibit of skulls, featuring Ray Bandar’s work, opens to the public on May 16.